Pictured: Penny Cornah, Executive Director of Master Plumbers' Association of Queensland, The Hon. Mick de Brenni, Minister for Housing and Public Works. 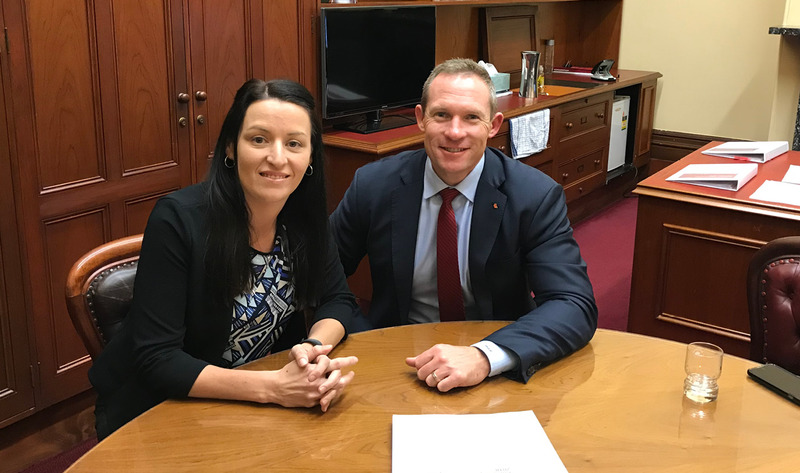 Master Plumbers’ Association of Queensland (MPAQ) Executive Director, Penny Cornah, has applauded the Government for passing important, much-needed legislation today. Plumbers and gas fitters across Queensland are very supportive of these new reforms that will make work associated with medical gas, licensed work. These new laws will ensure Queensland is a safer place. We are all aware of the tragic circumstances that occurred at the Bankstown Hospital in New South Wales and our condolences go out to their family and friends. The entire plumbing and gas industry supports the fact that the Government is actively taking action to make sure that this type of incident is not repeated in the State of Queensland. The passing of this legislation, ensures that the people who undertake the installation and maintenance of this vital work are skilled and qualified. The Queensland community expect that medical gas pipes and associated work are installed in our hospitals and health facilities by skilled and qualified persons. The Bill also introduces a plumbing - mechanical services category of licence. This licence is also vital to protect the health and safety of the Queensland community. Mechanical service plumbing (predominately comfort heating and cooling) work is complex and fundamental to the functionality of a building. MPAQ and its members supports the creation of an occupational mechanical services licence. The fact that mechanical services has been unlicensed is viewed as inappropriate by all major stakeholders involved in our industry. The new laws have also taken the first step to address the legacy issue around the occupational and contractor licensing situation. Ms Cornah commends the Government for taking our feedback on board and passing this legislation, which will make a positive impact on the Queensland community.